Biltmore Park in Asheville is an urban village filled with shops, restaurants, entertainment venues and condos. 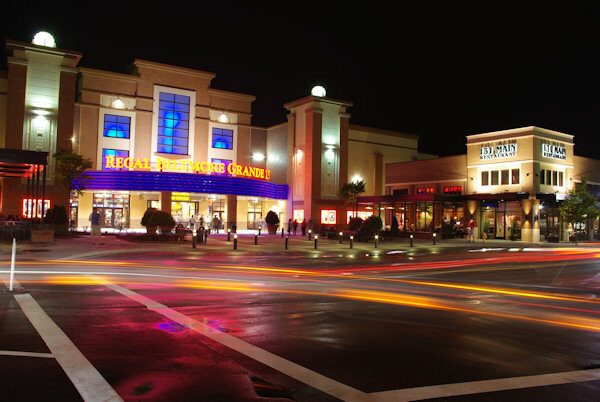 You'll find national chain stores (like REI & Barnes & Noble), restaurants (like P.F. Chang), an upscale YMCA, and a 15-theatre movie plex and a swanky Hilton Hotel. Located on the south side of Asheville, Biltmore Park is the vision of Jack Cecil, grandson of George Vanderbilt, the builder of the Biltmore Estate. This area was George Vanderbilt family's former dairy land. Humming with life, this vibrant town center is a fresh re-imagining of the Main Streets of the past, made to meet today’s standards of smart growth, green living and reduced driving. Throughout the year, enjoy Concerts in the Park, a free summer concert series that takes place every Saturday evening, a holiday lighting, farmer's market, fundraisers, and other exciting events. A short walk connects you to exciting shops, lively restaurants, cafés and gathering spots, spas and health clubs, as well as a range of dynamic businesses and employers. National retailers will sit side by side with one-of-a-kind stores that have a unique Asheville flair. As Asheville's first dense mixed-use community, Biltmore Park Town Square’s 42 acres offer an artful blend of recreation destinations, homes and premier office space. Distinctive architecture, mountain views and abundant green spaces celebrate Asheville’s artistic history and rugged natural beauty, while wide sidewalks, nature trails and welcoming benches encourage you to leave your car behind — and walk, mingle and explore. The 750-acre community features condos, town homes, luxury homes, arts and crafts style homes and home sites. Biltmore Park Town Square was chosen to participate in the LEED-ND Program, (Leadership in Energy and Environmental Design - Neighborhood Development), a pilot program that studies how developments can reduce sprawl, encourage healthy living, protect the environment, and reduce dependence on automobiles. The Hilton features 165 rooms, Roux restaurant and the Sparrow Spa. See our photo review of the Hilton. 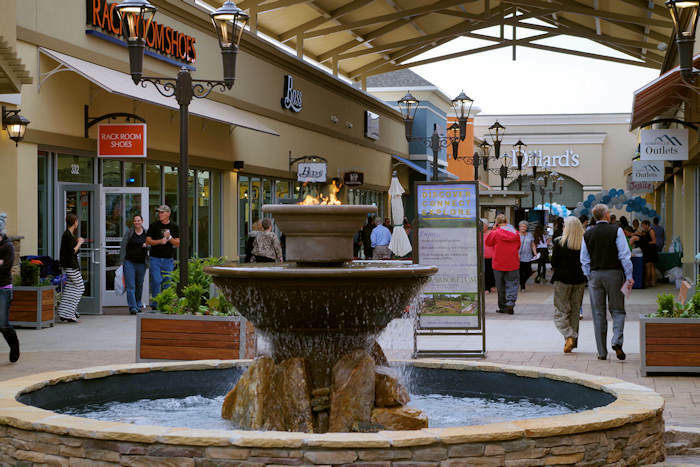 Located only three miles from Asheville Regional Airport, Biltmore Park Town Square lies adjacent to I-26, at the Long Shoals Road/Skyland Exit. It's 12 miles south of downtown Asheville.